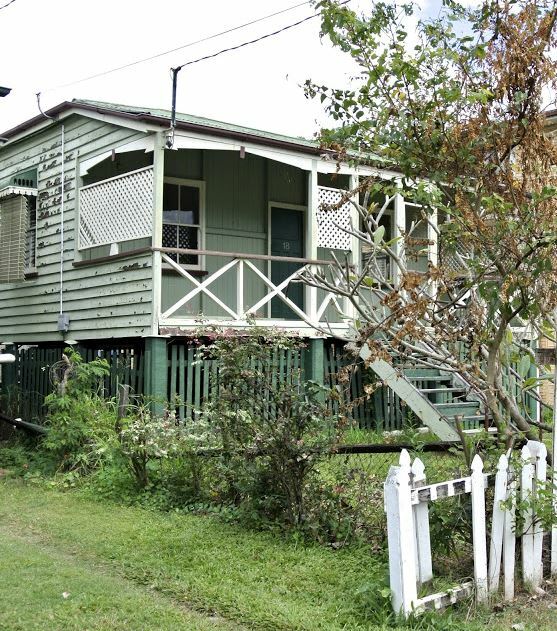 Ok so this house isn’t in Sydney, and this style of house, raised above the ground, is far more common in Queensland, but the design could be incorporated into a renovation of any modest worker’s cottage. 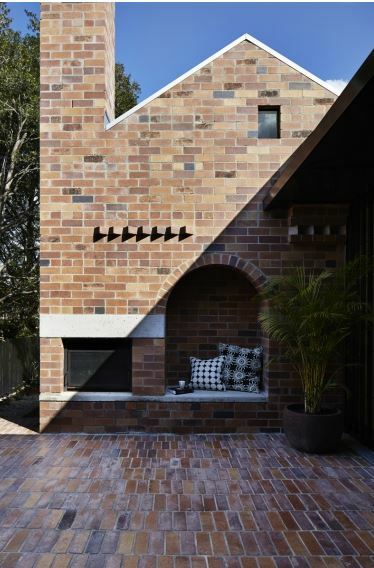 We love the dark stained timber contrasting with the new bricks and the arched entrance to the backdoor. I couldn’t resist including it. 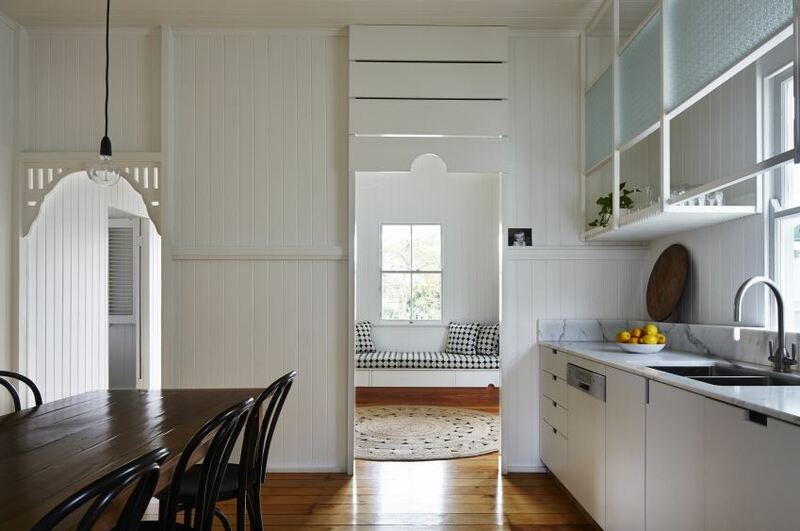 The brief for architects Owen and Vokes and Peters (the third architects engaged on the project) involved a complete renovation of a pre-1930’s worker’s cottage. The four rooms that formed the original part of the house were in good condition and only required cosmetic changes. These existing spaces now serve as the master bedroom with en-suite and walk in robe and a number of public spaces. The old lean-to extension, which housed the old bathroom, was removed to make way for a new living room. The rear of the home was entirely reworked and now consists of a kitchen/scullery off the dining space and a new wing houses the kids’ bedrooms and utility rooms. 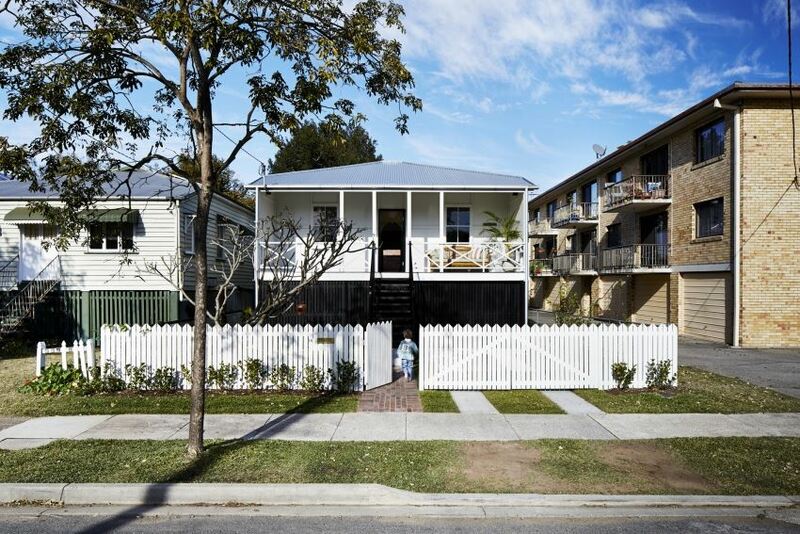 In order to create a sense of privacy, the design as described by the owner “has turned it’s back on the neighbouring units”. Privacy has been maintained in the garden by sandwiching a terrace complete with outdoor fireplace between the house and new children’s wing. The split-level design has also enabled a strong connection between the house and the garden. 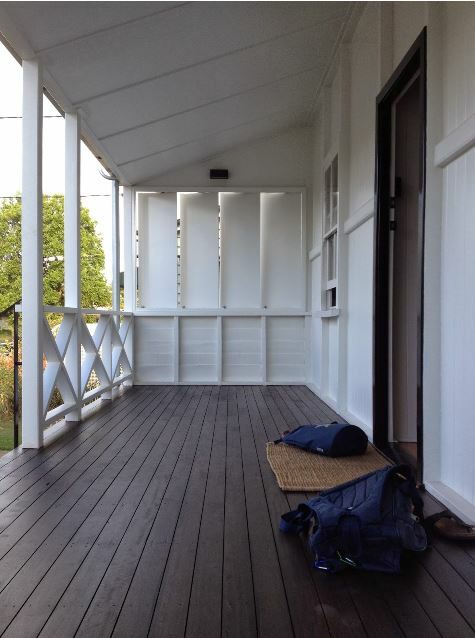 The cottage originally had lattice screens on either end, but they were in poor condition and didn’t really provide much privacy. The owner decided to purchase solid casement window that can be opened/closed to control light and breeze, creating effectively an outside room. The owner, Caroline, established a blog that details the renovation process, it is well worth a read and a great resource for anyone embarking on a similar journey. 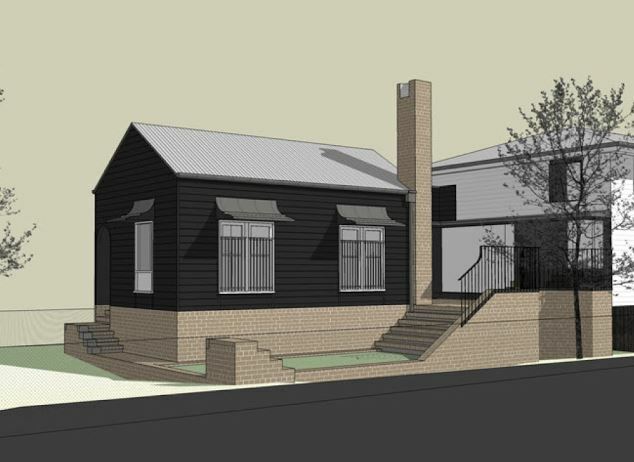 The blog is called ‘West End Cottage’. Click here for the link.